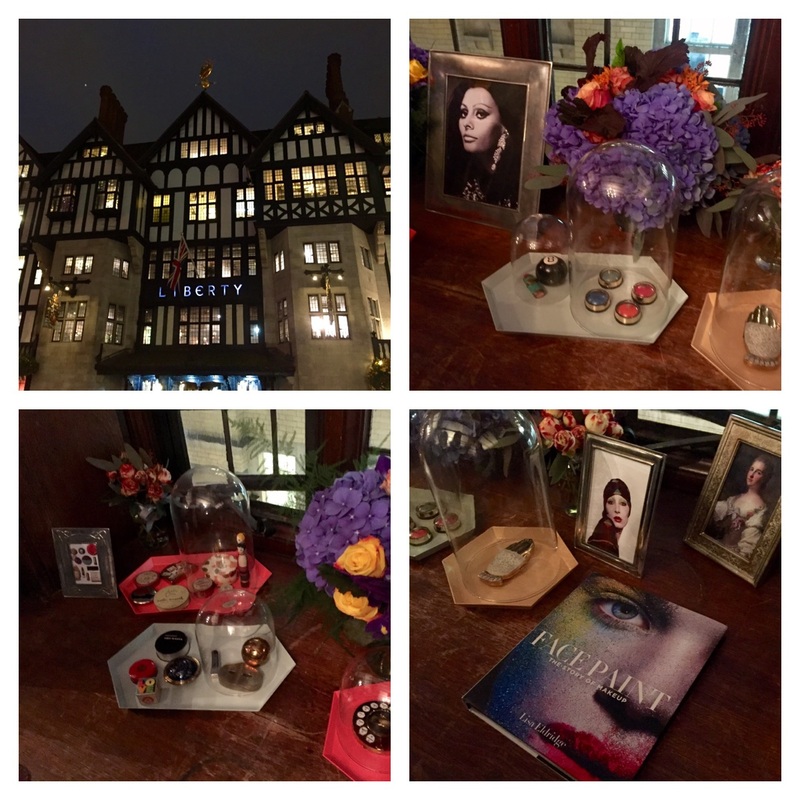 I was fortunate enough to attend Lisa Eldridge’s book signing at Liberty last night before the book is officially released on October 13th. She is a wonderful lady with such a clear passion for all things makeup. She has an incredible career working with some of the biggest names in the industry. Not only has Lisa recently been appointed by Lancôme as their Makeup Creative Director, she frequently works on catwalk shows, magazine shoots and film sets. In fact her next two bookings are for a huge US Vogue shoot and on set for the new Kate Winslet’s film, the Steve Jobs biopic. Lisa is very engaging and beautiful in the flesh, very down to earth. She explained how and why she had come to write the book. It seems the history of makeup is something that Lisa has always found fascinating and had actually penned a TV 6 part documentary which had never been produced. A literary agent approached her to see if she would be interested in writing a book and with half of the material already there Face Paint the book was born. Incidentally due to the popularity of the book she thinks it now will become a TV documentary after all …watch this space. It seems her interest in vintage makeup stems from her first purchase of BIBA make up from a market stall that was 10 years old. The market stall owner sold her the lot for just £5.00. Lisa said the woman must have thought she was mad that anyone would want to buy makeup which was 10 years old! It was at this point she really started to love the history of make up and everything it entailed, it’s a passion of hers and she’s been collecting vintage pieces ever since. On display was a collection of vintage makeup from her travels over the years, some amazing and truly unique pieces. It was wonderful to see such a personal collection which obviously has been well loved and looked after – lovely for her to share it with us. The book explores the history of makeup but what Lisa calls the ‘story’ of makeup as it’s written in her own words. It demonstrates how perceptions have changed over thousands of years, influences and restrictions of make up throughout society. She also explores what the future holds for makeup and where technology is taking us. What is really interesting is to think about makeup from this angle, just how lucky we are these days that we get to choose what we want to wear and express ourselves. This is something which history shows us wasn’t always the case. If I’m honest I’ve never given this much thought but have to say it’s definitely got me thinking about how fortunate we are today as women (and men..) to wear whatever look we want… if we want to. There’s a video which will be out in around 2 weeks’ time. It’s a great watch, very fun and showcases a lot of looks all across history to the present day. It will be posted on Lisa’s YouTube Channel so keep an eye out for that! So what’s next for Lisa? She mentioned how she is potentially spending time in the US as they have shown a lot of interest in the book but one day hopes that she herself can release her own product range. I just hope if that happens I’m lucky enough to get a sneak preview. Now… I can’t wait to dig into the book! Great thanks to Liberty for hosting the event and for Lisa sharing her precious thoughts and time with us.